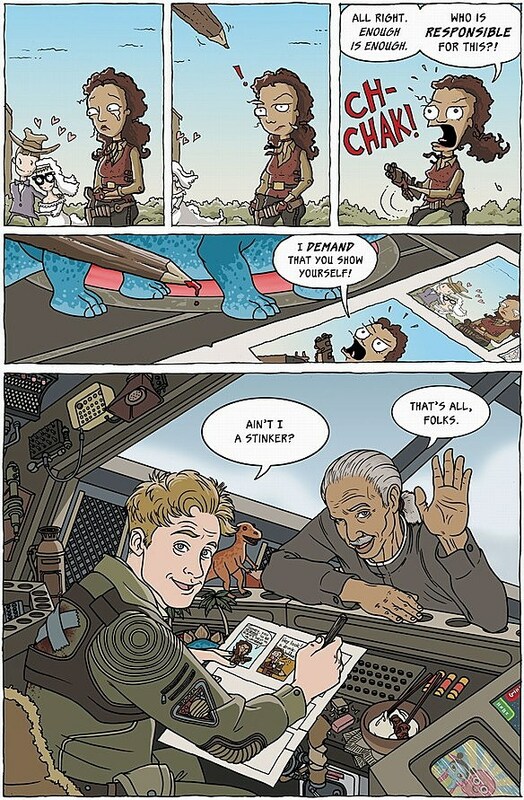 Like many fans of Joss Whedon's "Firefly," artist Mike Russell was impatient for more stories from the fan-favorite universe, and after a conversation with fellow cartoonist Bill Mudron, Russell decided to launch "Serenity Tales," a site collecting fan-made webcomics about the series. "We figured we'd make some totally apocryphal, totally unofficial fan comics for free while we waited. Just a fun way to celebrate Whedon's universe, which we both love," said Russell. Soon, Russell's work had attracted the attention not only of "Firefly" fans but editor Scott Allie of Dark Horse, who asked Russell to bring his fan comics to the letters page of the publisher's upcoming "Serenity" one-shots. You'll be able to see one of Russell's shorter works in the upcoming Patton Oswalt scripted "Serenity: Float Out" comic, but Russell's original pitch -- a longer comic called "Take My Love," which pays homage to the carnage of the "Serenity" film and the classic Looney Tunes cartoon "Duck Amuck" -- was cut because of space concerns. After seeing the pages from "Take My Love," (written by Mark Bourne with pencils by Russell and inks and colors by Mudron) we thought it was too awesome not to share, so we're proud to present that comic for the first time, exclusively on ComicsAlliance. 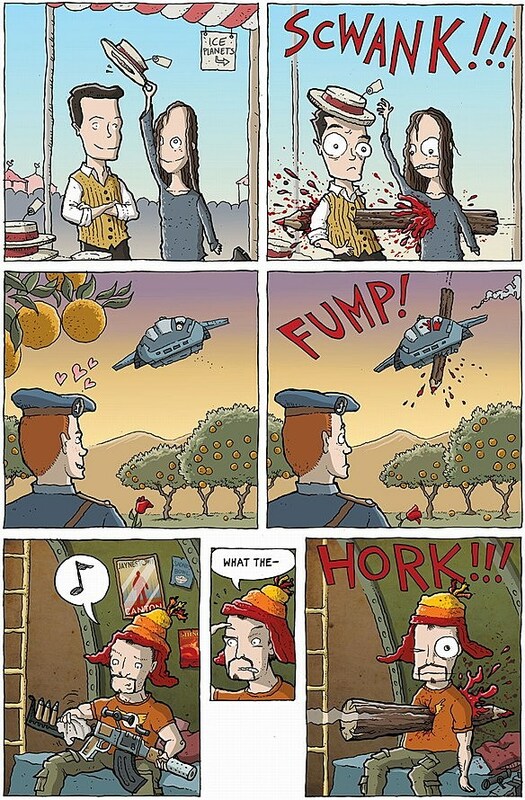 If you haven't seen "Serenity," SPOILERS follow. Click through for bigger versions!